This course covers basic life support skills and includes skills for adults, children, and infants as well as healthcare variations on infant CPR. The course includes: safety, precautions, initial assessment, recovery position, CPR, compression only CPR, CPR handover and choking. This course complies with the latest ERC and UK Resuscitation Council Guidelines and is aimed at Healthcare Professionals with a duty to respond. 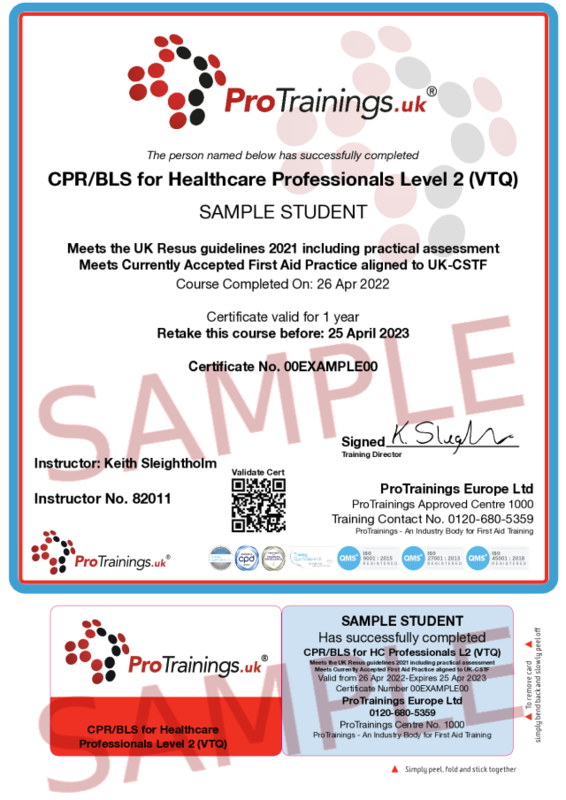 This version is for learners who have already completed BLS courses in the past and just need refreshing their skills annually.